Two days after being granted permission to offer Wi-Fi calling by the FCC, AT&T activated this feature today, allowing its customers to make and receive calls and text messages over Wi-Fi when located in areas with poor or no cellular coverage. Step 1: Go to Settings > Phone > Wi-Fi Calling. Step 2: Toggle the switch to activate the feature. Step 3: You will be asked to confirm the activation of the service and provide an address for emergency services. Step 4: After completing these steps, you will be notified that Wi-Fi calling will be activated shortly on your device. The company notes that in order to be able to use Wi-Fi calling, you must have an AT& HD Voice compatible device. Of course, iPhone 6 and iPhone 6s are compatible with this carrier feature, but the devices must be running iOS 9 or later. Older iPhones are not compatible. See a list of compatible devices here. Although Wi-Fi calling may sound a lot like VoIP services, it must be noted that it is different in the sense that you are still strictly limited to what you can actually do and where you can call. AT&T Wi-Fi calling is available only to customers in the United States, Puerto Rico, and Virgin Islands. Users who do place calls or send messages internationally using the feature will be charged international rates, just like they would if it they were making a normal phone call or sending a normal text message. 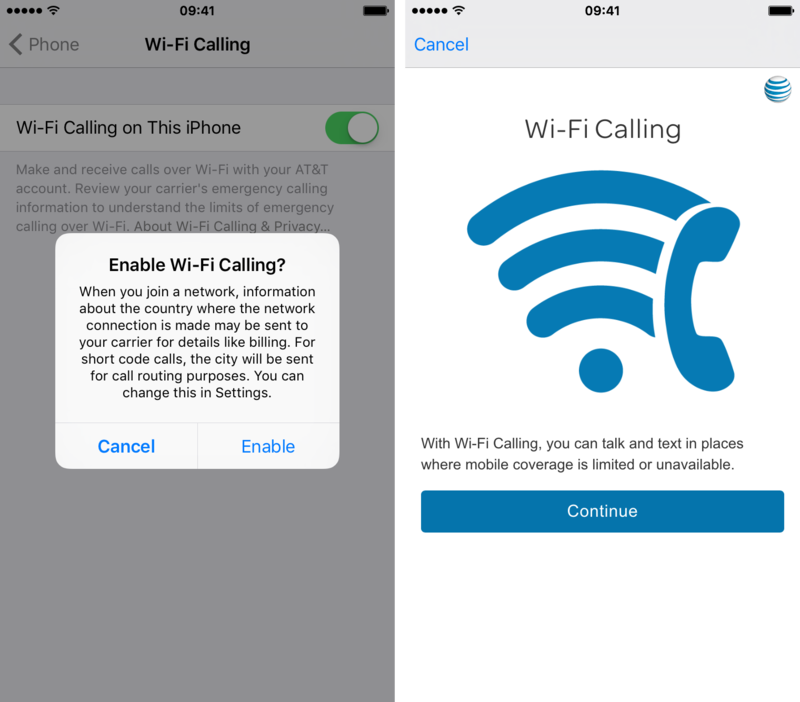 AT&T also notes that a call is not automatically placed over Wi-Fi, unless you have poor or no signal in your current location. If you have decent signal, your call will be placed or received as a normal call. What happens if you leave Wi-Fi coverage? If HD Voice coverage is available in your area (see map) when your Wi-Fi connection is lost, your call will automatically switch to cellular and continue without dropping. If you’re not in an HD Voice coverage, the call will drop. How to test Wi-Fi calling? 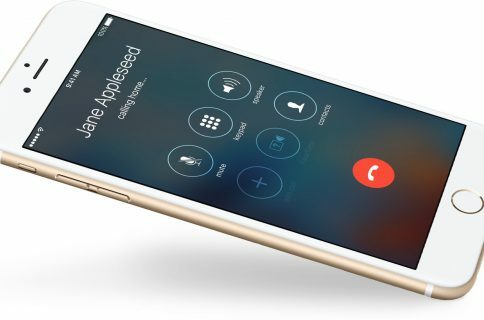 To test out Wi-Fi calling, put your iPhone in Airplane Mode, then turn Wi-Fi on. Within a second or two, you should see the AT&T Wi-Fi icon show in your status bar.